The launch of United Transformation Movement in the southern region has been shifted to Sunday with also the change of venue from Nyambadwe Ground to Njamba Freedom Park. 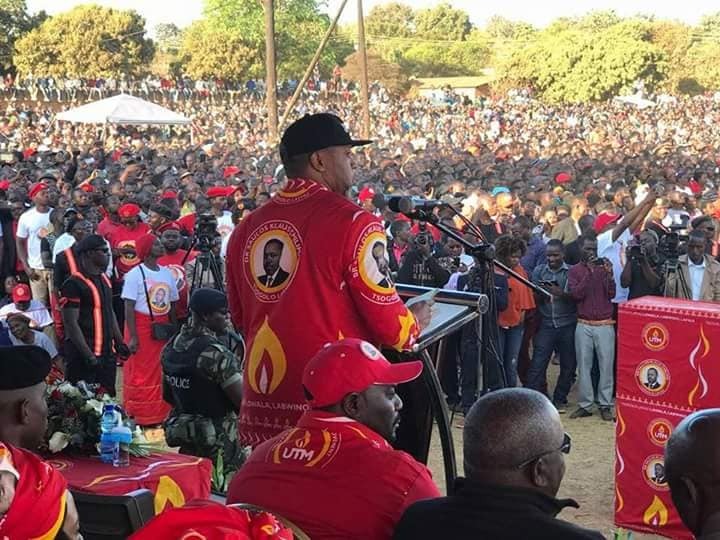 This comes amid reports that Government is planning to re-open Kamuzu Stadium on the same date the UTM launch was supposed to take place. However, the UTM Chairperson Noel Masangwi did not disclose that the change of the date has come in due to government’s planned function on the same day of 28th July, 2018. In a statement announcing the change of the venue, Masangwi indicated that the change comes in after the organizers realized that Nyambawe Ground would be too small for the rally which is expected to receive an overwhelming support as the previous one held at Masintha ground. According to Masangwi, the UTM’s membership graph is uprising each and every day since the Movement was introduced. After the southern region launch on 29 July, the movement will turn to North in Mzuzu on August 4.